The decision to remove PS2 compatibility, or 'backwards compatibility', from the PS3 caused a lot of controversy for Sony. Much of this stemming from their own early press releases stating the importance of providing this feature on the PS3. The PS2, released in 2000, used a pair of proprietary Sony-built processors in its chipset. These were the 'Emotion Engine' CPU and the 'Graphics Synthesizer' GPU. These were unique processors with distinct architecture that proved difficult to emulate and expensive to manufacture. When the PS3 was released in 2006, it contained these two processors specifically for the purpose of running Playstation 2 games; this enabled nearly 100% PS2 compatibility. These were the original CECHA 60gb and CECHB 20gb launch models. With the system still priced at nearly $600 retail, and production costs over $800 per unit, Sony needed to reduce the cost of manufacture AND reduce the price for consumers. With cheaper and more efficient replacement parts still a few years away, they had to cut costs and remove non-essential parts. The 'Emotion engine' CPU was subsequently removed, leaving the 'Graphics Synthesizer' GPU combined with software-driven emulation to run PS2 games. Although this reduced production costs, the emulation turned out to be sub-par and resulted in only about 80% of PS2 games being playable. The only models to use this configuration were the CECHE 80gb console and the CECHC 60gb. Eventually, Sony determined that the sub-par emulation combined with the continued expense of including the PS2 GPU, was not giving them the cost to performance ratio that they needed to achieve. Sony at this point introduced the first non-PS2 compatible PS3. The new 40gb models debuted at $399, a full $200 dollars cheaper than the original 60gb launch models. Even with all these changes and others to the PS3 Sony was still losing money on every console made. But, with the removal of the backwards compatibility, Sony was able to greatly reduce the cost of the PS3 to the consumer and got much closer to finding the proper performance to cost ratio, that they were looking for. 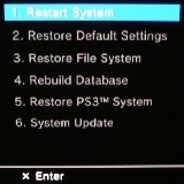 Many people argue that the removal of the PS2 chipset really didn't save Sony very much money and they don't understand why they didn't just keep them in the PS3. The truth is that the chips themselves probably weren't that expensive, but the extra architecture to use them can cost a fair amount of money. Imagine trying to run an AMD and Intel processor on the same motherboard. This is what Sony was doing. The removal of the PS2 chipset allowed Sony to reduce production costs and make other changes and innovations to the PS3 that have greatly reduced the costs for Sony and the consumer. As of 2010, Sony is finally not taking a loss on every PS3 and a 120gb 'slim' console can be had for $299.99 USD. Although Sony upset a lot of it's customers and potential customers, with the removal of backwards compatibility, the results of these decisions are very hard to argue with. The PS3 is selling better than it ever has before, showing that Sony may finally have found the right cost to performance ratio. The latest PS3's are smaller and sleeker, more energy efficient, run cooler and best of all, COST LESS! !